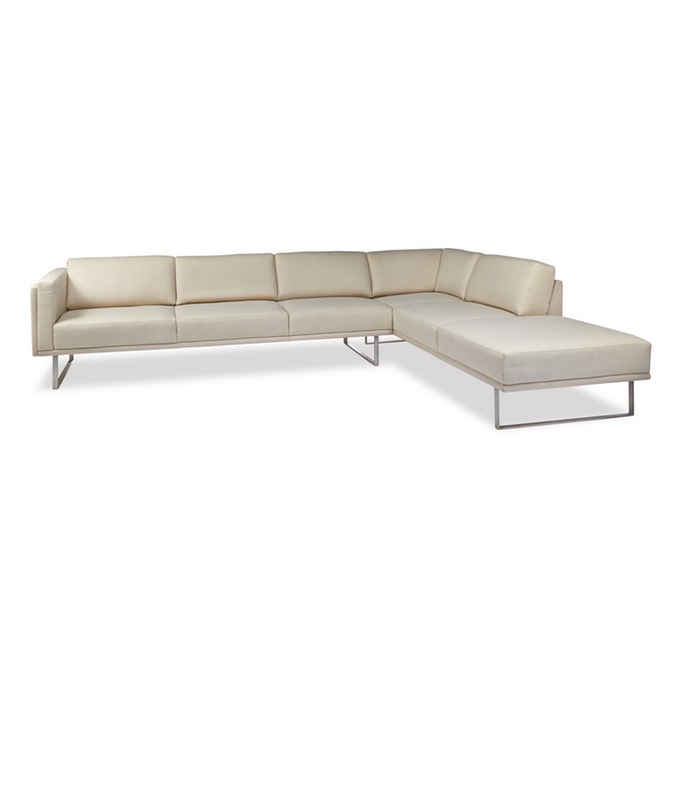 The Berkley sectional is a great, sleek + modern sectional with fabulous stainless steel track legs which help the sectional seem to float over the floor! Customize this piece in your choice of fabric, leather, or Ultrasuede. Handmade in America – locally crafted and built to last.